Performance of the actors, at Nagasaki Japan. Home » Performance of the actors, at Nagasaki Japan. 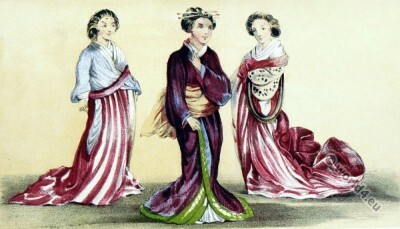 Ladies witnessing the performance of the actors, at Nagasaki Japan. This entry was posted in 1857, 19th Century, Asia, Japan and tagged Kimono, Kinahan Cornwallis, Theatre, Traditional Japanese costume on 7/10/15 by world4.